Bookscouter.com seems like a nice place to sell your used textbooks. However, you might be interested in knowing some alternatives out there in case you find out a better choice. Here, we will try to elaborate a list of options to choose from in order to make your life easier! The company we are evaluating has a well-known website with a neat interface, that is true, but a disadvantage we have found is that you have to enter an ISBN every time you want to conduct a search. Entering the book’s name or its code bar is not an option. Although the ISBN is something usually within our reach, it may come inconvenient if we know that we own a certain book but we do not have it with us at the moment. Another small handicap this company faces is being very much focused on textbooks, making the website practically worthless when a user needs to compare buy-back prices for any other items, such as music CDs, video games, Blu-ray or DVDs. Last thing we would like to mention is that they claim you do not need registration to access to their comparison tools but the truth is that for some key functionalities like the bulk comparison, you need to be a Bookscouter Pro. 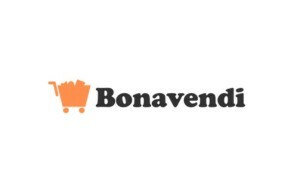 Obviously, our top recommendation has to go to Bonavendi.com. Completely free and without registration required, you are granted full access to their price comparison engine that allows you to compare price items one by one, or if you prefer, by using their distinctive bulk comparison tool, do it with a list of items at once. While Bookscouter is mainly for textbooks, you may find at Bonavendi the best market price for general books, as well as for CDs, DVDs, Blu-rays or video games. ISBN is not the only way you can input your articles, but also code bar, name or title are valid methods. New & Used Books, Textbooks, Rare & Out of Print Books. Specializes in connecting buyers and sellers of used, rare, and out-of-print books. Includes a database of booksellers’ inventory lists searchable by author, title, publisher, and keyword. Used Books, Used Textbooks, Rare & Out-of-Print Books. Buy Used Books to Fund Literacy Worldwide. Shop over 9 million new and used books with free shipping in the U.S., $3.97 worldwide. Every purchase funds literacy programs. Bargain prices on new/used books. Two Million New & Used Books. Free shipping in the USA, $3.97 worldwide. Search Used Books, Textbooks, Rare Books, & Out of Print Books from Independent Booksellers. Online bookstore offering used, rare, out-of-print, and hard-to-find books from professional, independent booksellers worldwide. Includes a section for textbooks. Official site for bookstore Barnes & Noble. Includes listing of bestsellers. Features college textbooks, music, software and online courses. Sell your used books at Cash4Books.net. Have your books shipped to them for free. Used, New, and Out of Print. The largest independent new and used bookstore in the world.